A view across Loch Gruinart from the Killinallan side. 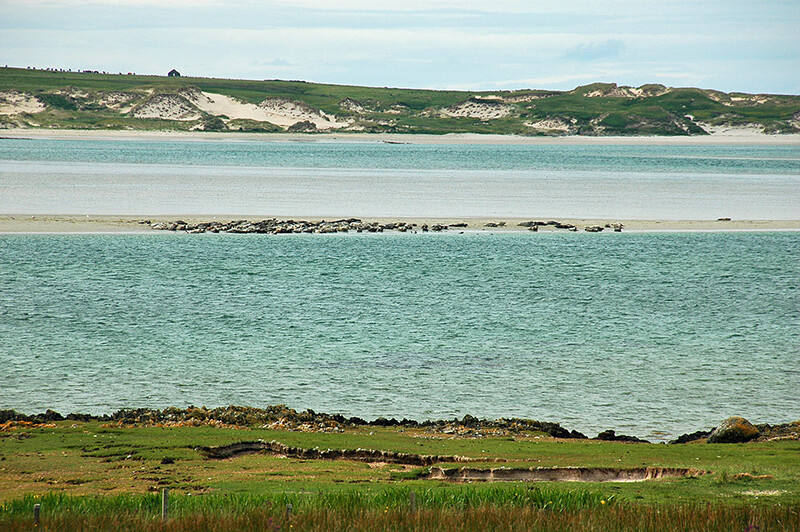 Seals are resting on the sandbanks visible at low tide, the dunes at Ardnave in the background. This entry was posted in Beaches, Cloudy Weather, Landscape, New Post, Sea Loch, Wildlife and tagged Ardnave, Islay, Killinallan, Loch Gruinart, Seals by Armin Grewe. Bookmark the permalink.